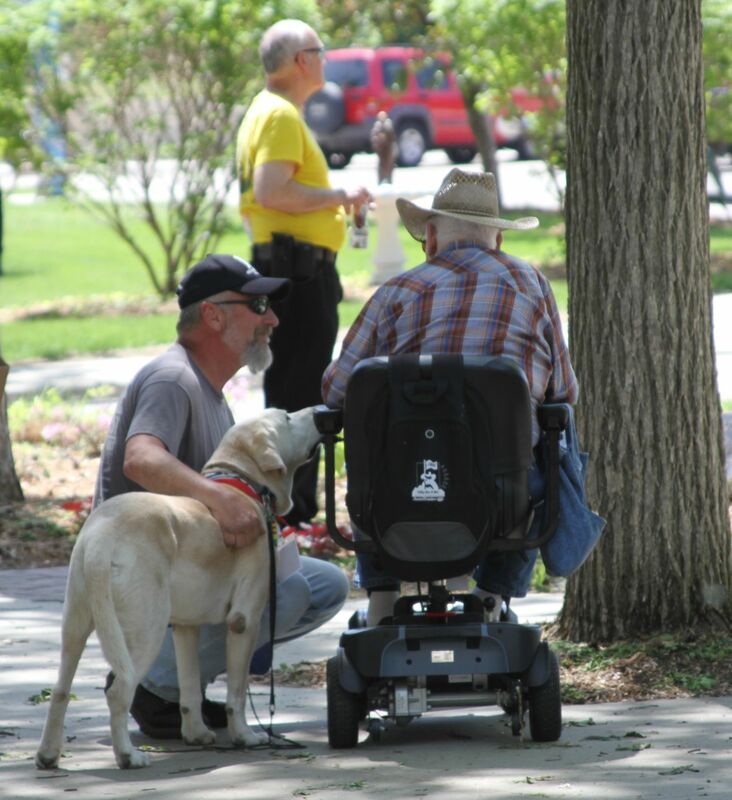 Motorcyclists Visit Veteran's Home at King, Wisconsin | Hupy and Abraham, S.C. I've been participating in the Graybeard Productions "Thunder in the Park" event for a decade and it always turns out as a spectacular party at South Park, Oshkosh, Wisconsin. Hupy and Abraham, S.C. has been a proud sponsor of this event from the beginning, which benefits Children's Hospital in the Fox Valley. This year, the two day event included a custom car show on Saturday, May 31 followed by a custom bike show on Sunday, June 1. 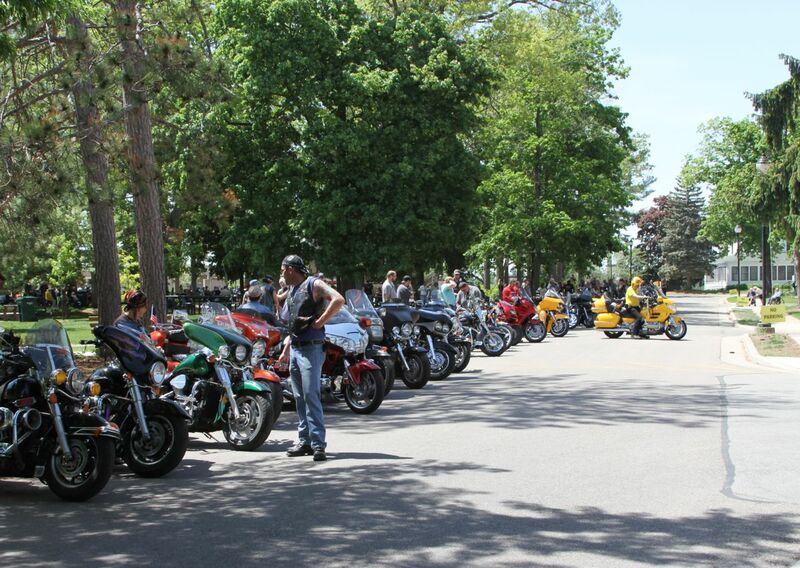 Another popular part of the weekend is the Freedom Fighter Poker Run. This year, because the show was so close to Armed Forces Day and Memorial Day, it was decided to do something to honor our military. 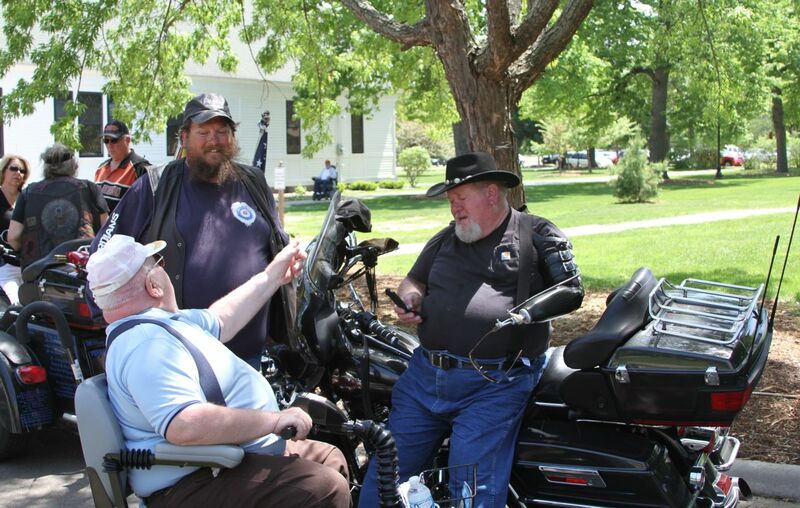 The Freedom Fighter's Recon Mission was a 130 mile motorcycle tour with a stop for lunch at Damned Yankee, a popular bar in Hortonville, and stops at the Veteran's Home at King and a final stop at the Military Veteran's Museum in Oshkosh. The words "freedom fighter" are often used among the motorcycle right's community, and I'm honored to be considered a freedom fighter. In reality, the only true freedom fighters are the men and women in the military, especially those who served in combat situations. We riders in the motorcycle right's community are exercising the rights and freedoms preserved for us by those who fought the enemies of this country to secure those rights and freedoms. We must continue to recognize who the real freedom fighters are and honor their service by standing up for those rights which were so unselfishly preserved. It was heartwarming to talk to some of these veterans at King and see the light in their eyes as we roared into the parking lanes at King. The residents were already outside at the band shell listening to a music when we arrived. 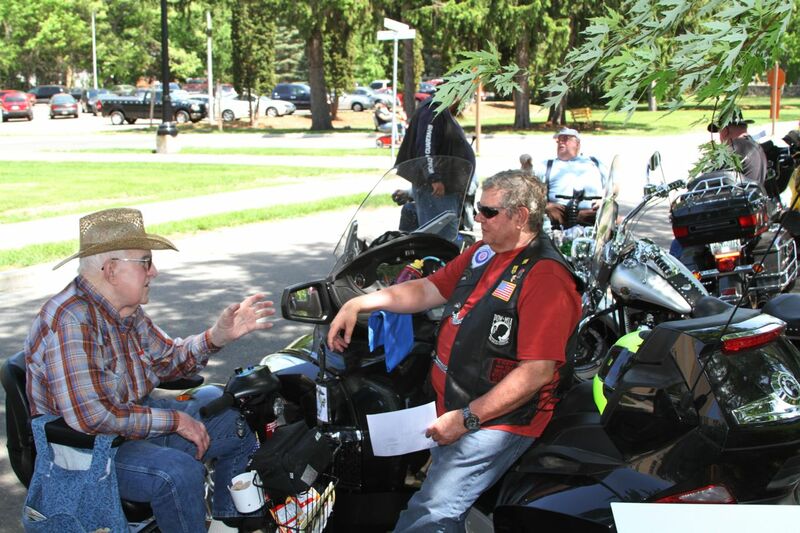 riders sat and chatted with veterans, served them ice cream or water provided by the staff at King or just sat with them and listened to the band. One of the riders, Doc Murray, was a Navy Medical Corpsmen who served in Vietnam. His great-grandfather was a Civil War veteran and is buried in grave site 1 at the cemetery at King. After the visit at King, the group toured the newly opened Military Veteran's Museum in Oshkosh. The museum is a treasure of military memorabilia, vehicles and weaponry. Just down Poberenzy Road from the EAA, this is a great destination to learn about the military history of past wars. I'm already looking forward to next year's show, realizing that even though we had fun this year riding on some of Wisconsin's beautiful back roads, enjoying some of the best custom cars and bikes in the state, this event is for the children being treated at Children's Hospital. These kids may never enjoy the exhilaration of the wind hitting them in the face at 65 miles per hour or feel the vibration of a well tuned motor humming below them. Their lives are filled with recurring visits to the hospital for treatment. It's a real joy to see their faces light up as they walk or ride their wheel chairs through the rows of custom bikes on display. They especially like to get out and dance in front of the stage in whatever way they are capable of doing, and to "hang out" with the riders for a day. I can honestly tell you that as much as they enjoy hanging with the riders, we enjoy being with them for the day as well. Thank you Graybeard Productions for continuing to make a difference in their lives and supporting the good work at Children's Hospital.